Yes to all of it!! Love! I too love stationary. I could totally turn that swimsuit into a room. Gorgeous! Oh how I love that bag!!! 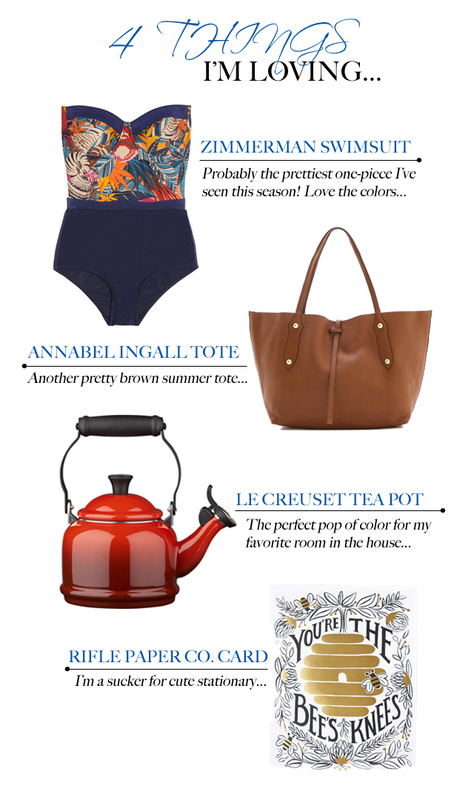 Off to check out Rifle Paper Co.
Loving all of it, but the swimsuit is so fabulous! Wow! Agree on all counts! And you're so right, there are a ton of cute one-pieces these days. That suit is PERFECT! I'm so into one-pieces these days.